Pictures of Brotherton taken on a November afternoon (2005). 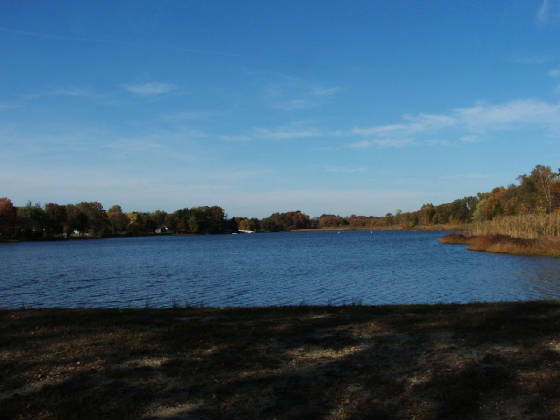 The west mill pond, taken from where the Indian burial ground is located. 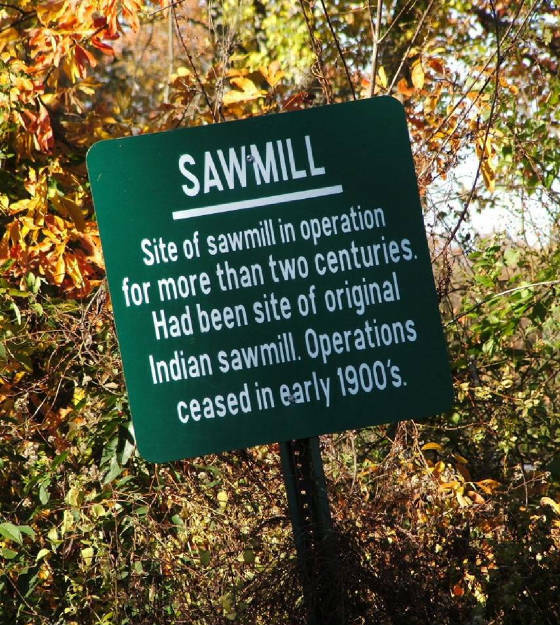 Site of the original saw mill, west pond. Part of the center of Brotherton life. 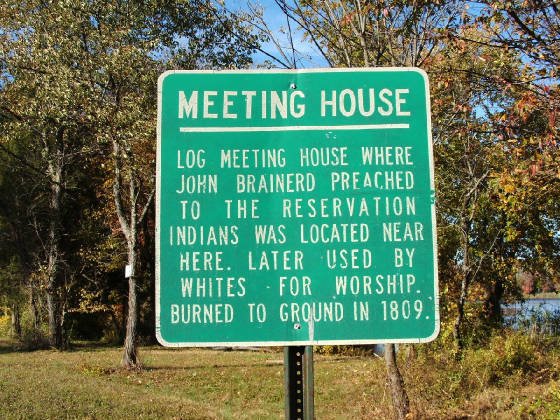 The Meeting House and burial ground were adjacent and both were across from Brainerd's house. 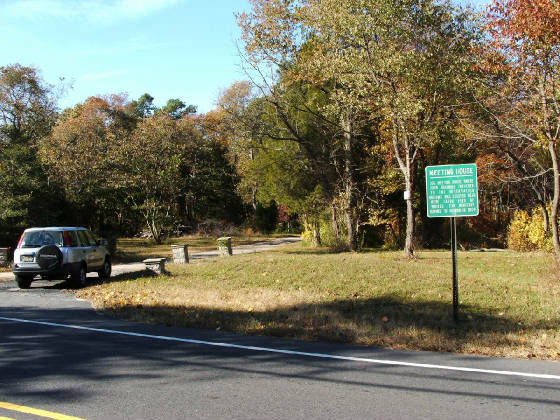 Location of Meeting House & Indian cemetery; the likely site of pre-reservation road on 1759 map. Brainerd's house was set back from the road. Indian school at Brotherton. Photo by Nathaniel R. Ewan, Burlington historian. 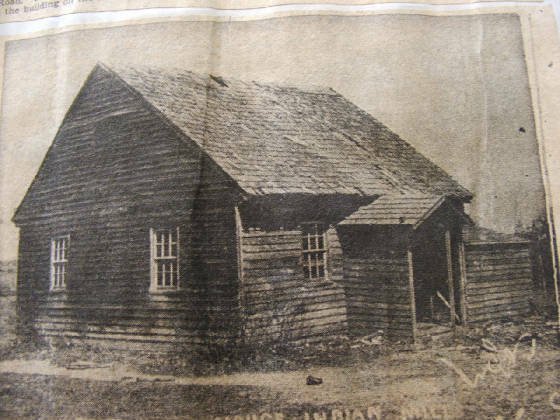 Indian School, circa 1805} Near Stephen Calvin's house. 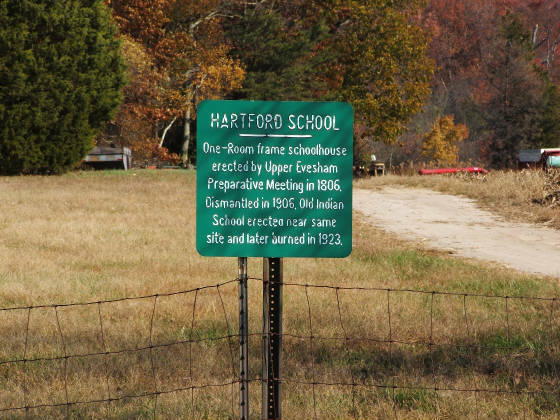 The Hartford School, also known as the Old Indian School: According to George Flemming's recent work, Brotherton, the Upper Evesham Preparative Meeting (Quakers) purchased land near Schoolhouse Lane for a schoolhouse and burial ground in 1805. 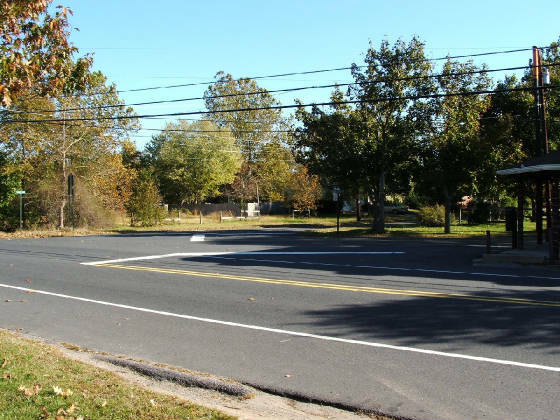 The site was known as the Hartford School and later as the Old Indian School. Fleming notes that the Indians however, had long since left the Brotherton area by the time of its establishment. I am not so certain of this statement. For starters, the school house is within a stone's throw of where Brotherton schoolmaster Stephen Calvin lived (according to the 1759 map). It may be possible that the school house that was eventually built at the reservation was indeed built at this site. Also, we know from the Weekping dispute, that Bartholomew Calvin, Stephen's son and heir to being schoolmaster, was still in the area as late as February, 1805 (by the power of attorney that he executed with Hope Moolis). We do not know when he moved to New Stockbridge, New York. Calvin may have been here for another year or two in regards to the Weekping land. We also know that Job Moore (relation to Samuel Moore likely), an Indian, was living nearby with his family well into the 1820s. His son, also named Job, was a childhood friend with young James Still, who would one day grow up to be the famous African American doctor of the "Pines." Job Moore was buried in the cemetery at the Old Indian School. According to Fleming, in 1916, archaeologist E.W. Hawkes excavated human remains at this cemetery, and in 1976, the site was identified in an historic preservation survey as the old Indian burial ground. 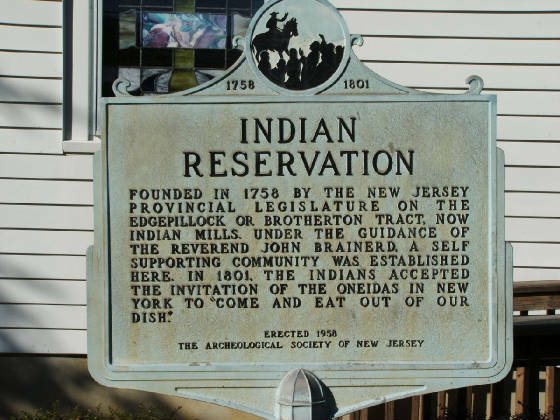 As to when the Indian school at Brotherton was built, according to John Brainerd's August 1761 letter to Mrs. Smith, he states there is a need for a school; by 1767 a letter from the Brotherton Indians to their relations on the Ohio stated that there was both a meeting house and a school house within their community. 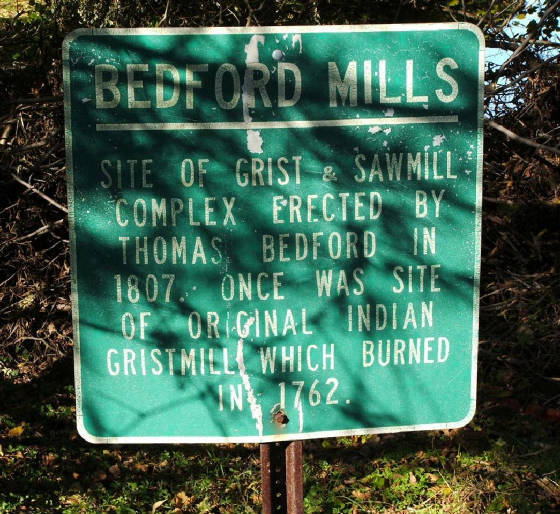 Sign at Methodist Church, now the center of Indian Mills. 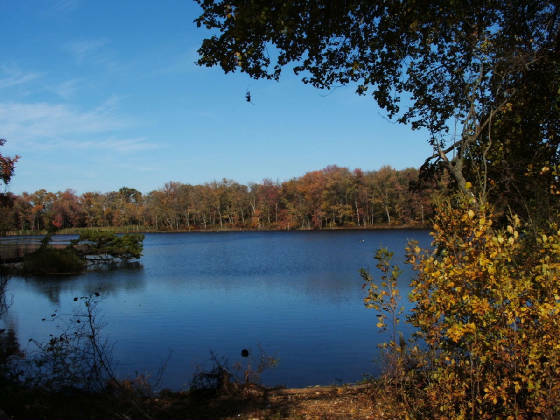 East mill pond, located just west of Rte. 206. Sign at east mill pond.